Metallica delivered the live debut of the of “Hardwired…To Self-Destruct” track, “Spit Out The Bone”, at The O2 Arena in London, England on October 24, and the band are sharing professional footage from the event. The performance took place during the second of two dates at the venue, which made UK concert history by breaking the attendance record at the O2 Arena. On October 22 and 24, Metallica played to a record-setting 22,211 people each night, beating the previous record of 21,000 set by Muse in 2016. 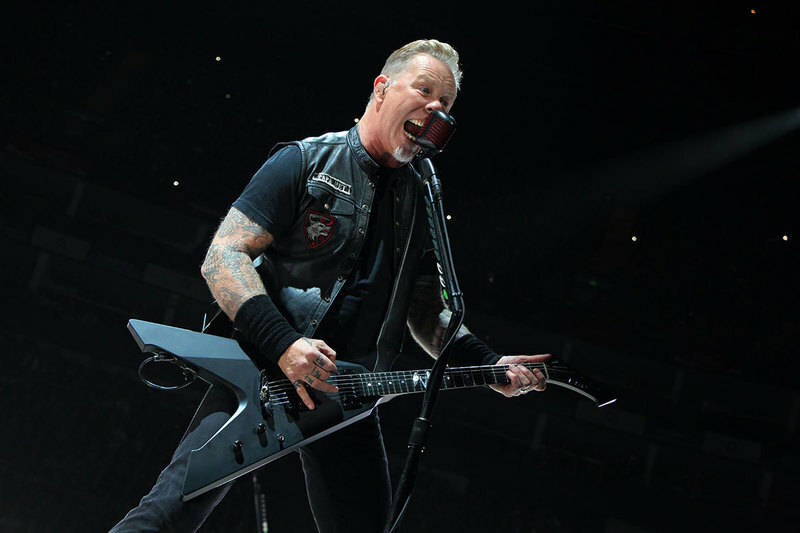 Metallica’s ‘in-the-round’ staging allowed for an extended seating capacity at the venue, and the band were honored with a specially-commissioned illustration by The O2’s Head Of Programming, Christian D’Acuna. The London appearances marked the group’s return to the road following a rare, month-long break from their WorldWired tour. Metallica’s current fall European leg will wrap up with two dates in Antwerp, Belgium in early November before resuming with a spring 2018 run that will open in Lisbon, Portugal on February 1.